They got there just in time to save 18 lives. 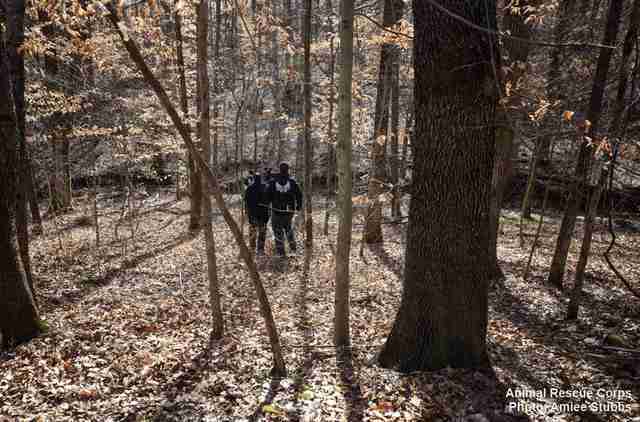 Police in Tennessee got a call from a concerned citizen recently who had seen something suspicious in the woods. 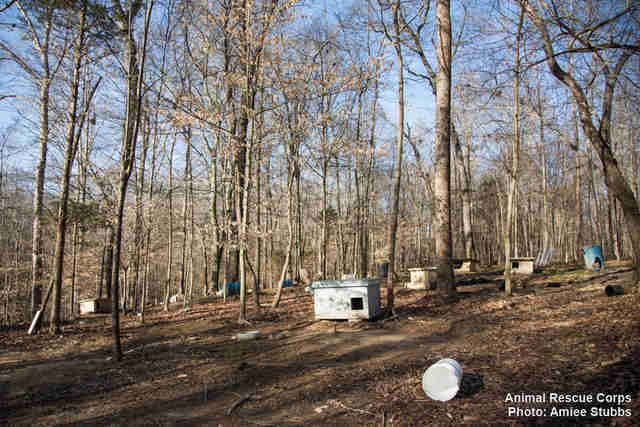 Makeshift shacks and empty plastic chemical barrels dotted the forest floor about an hour west of Nashville, in Humphreys County. There was also a treadmill and a springboard wedged between the trunks of two trees. People moved closer — and found individuals who really needed help. 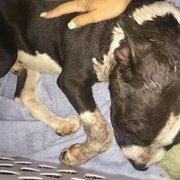 Tethered with heavy, industrial-strength chains were several adult dogs, mostly pit bulls and German shepherds, all of them underweight and covered in sores. 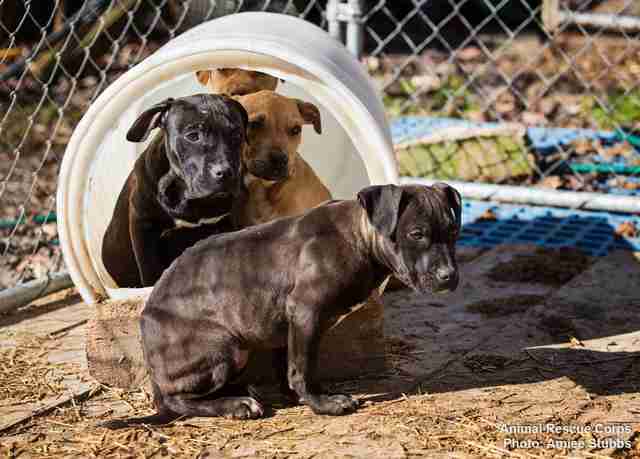 Several more dogs — young puppies — were found in cages, trying to keep warm in plastic containers. 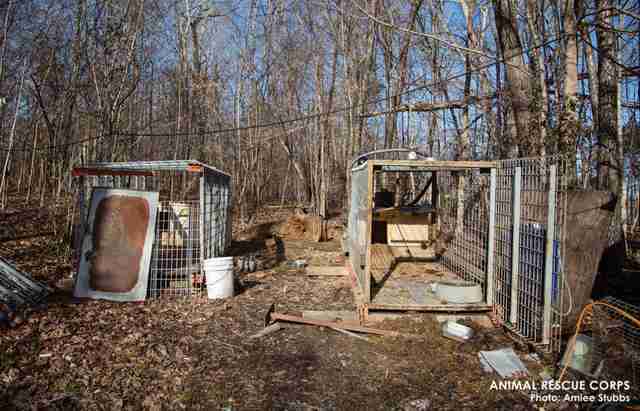 It was clear to rescuers that this was place where dogs were being raised and "trained" for dogfighting. 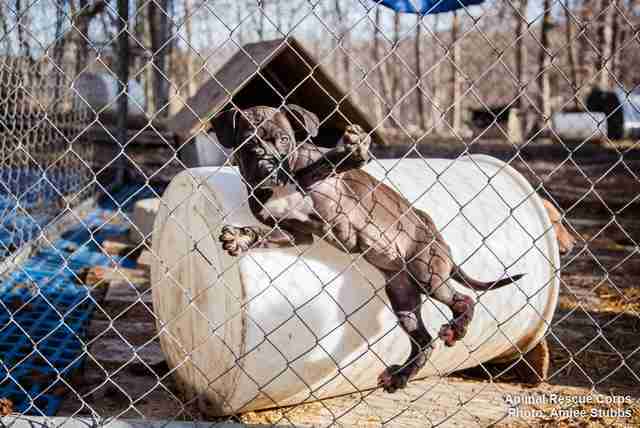 None of the dogs had access to fresh food, and the few water containers there were either empty or frozen over. 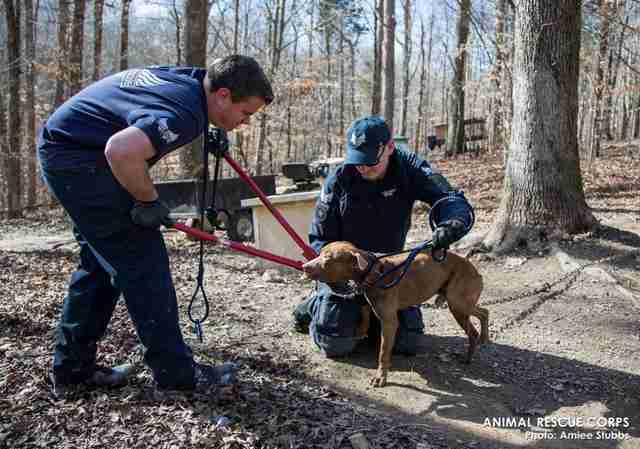 People from Animal Rescue Corps (ARC) arrived to rescue the dogs — 16 in total — as well as two cats found on the property. 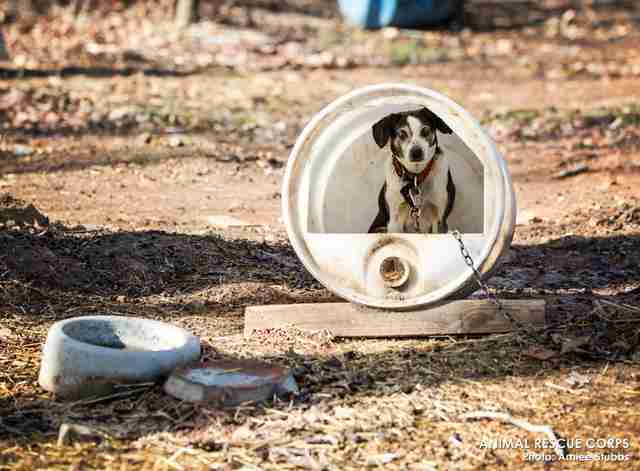 But people remain concerned because of the 60 more plastic barrels found on the property that had presumably housed more dogs — and it seemed that several dozen dogs had recently been moved elsewhere. 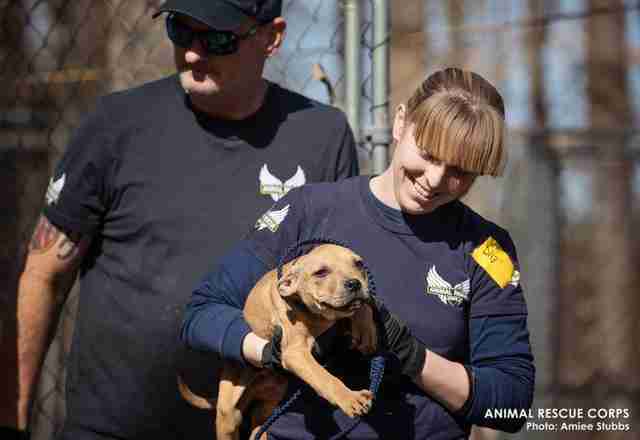 In the meantime, rescuers hurried to cut the dogs free of their chains. 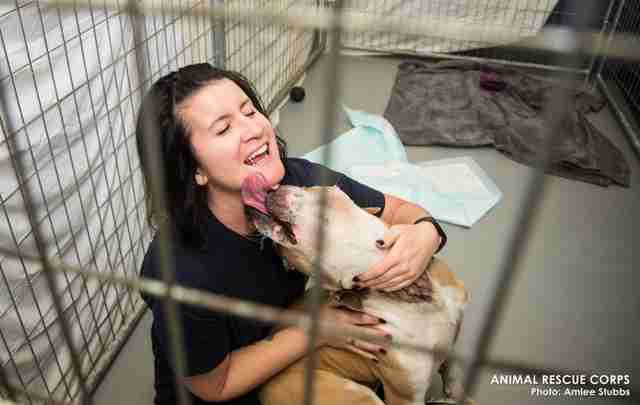 Despite how they've been treated, they were all very eager for affection, according to ARC. 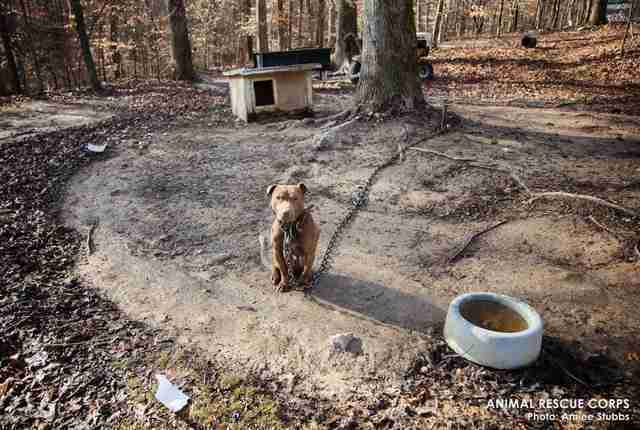 “Dogfighting is a felony and we take this very seriously in our county,” Humphreys County Sheriff Chris Davis said. “We will continue on this case until we bring everyone involved to justice." 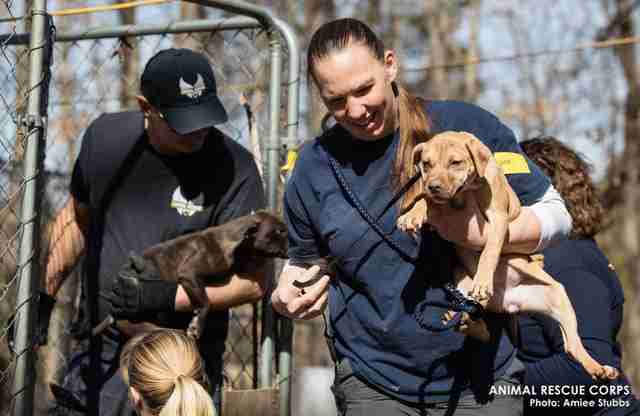 Rescuers held puppies close to communicate that they were finally safe. 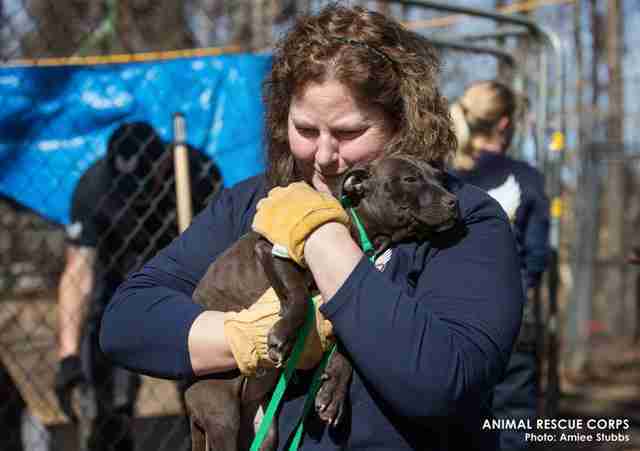 And they brought the animals to an emergency shelter where people from ARC will take care of them until they can be placed with rescue organizations to get them adopted. 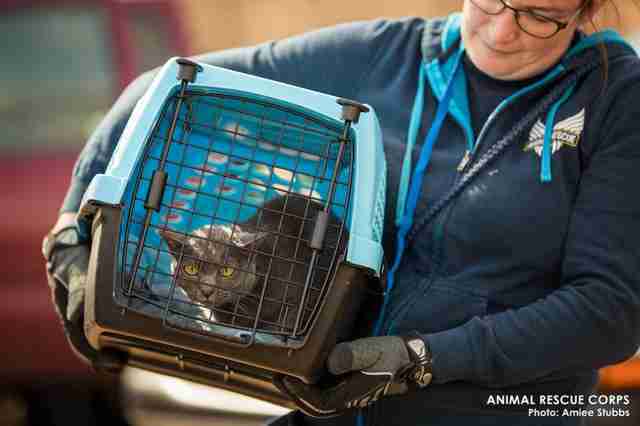 While in the emergency shelter, the animals will get much-needed checkups and vaccines from volunteer veterinarians so they can be on their way to being adoptable pets. 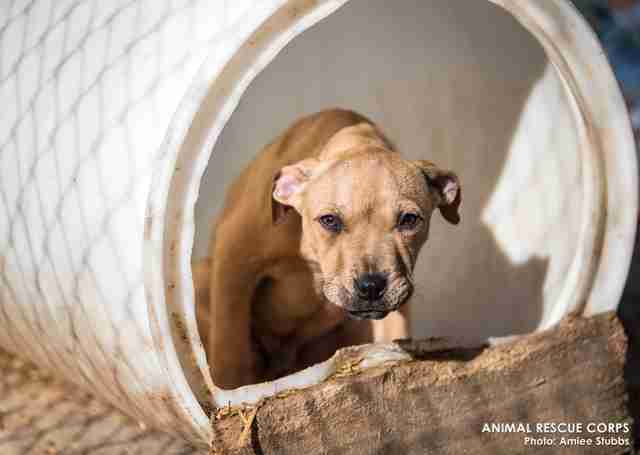 Even though dogfighting is a felony — even watching dogfighting is a serious crime — it's estimated that tens of thousands of people in the U.S. alone still perpetuate the cruel practice. 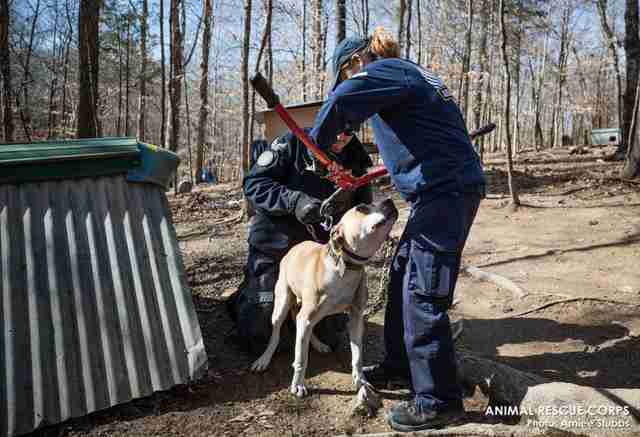 Often, saving dogs from fighting rings relies on concerned individuals willing to speak out about anything suspicious — like this compound found in the woods. 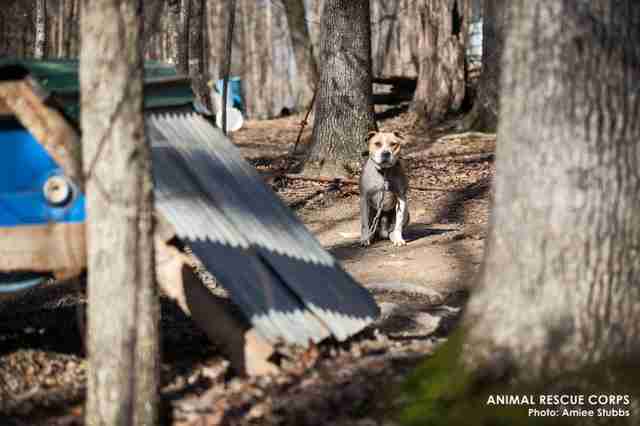 Signs of dogfighting are treadmills and springboards, used to "train" fighting dogs. 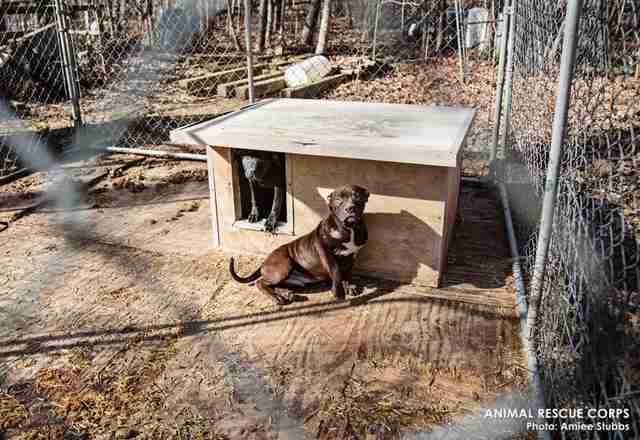 Luckily, these dogs will never be forced to fight ever again — and the puppies were likely spared from ever having to enter a dogfighting ring. They certainly look grateful to be away from that terrible place. 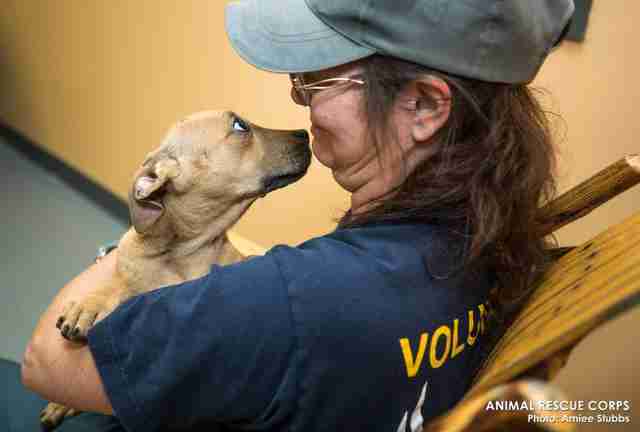 To help ARC save more animals in need like these dogs and cats, you can make a donation. If you have information about this case you can call the sheriff's department at 931-296-2301.